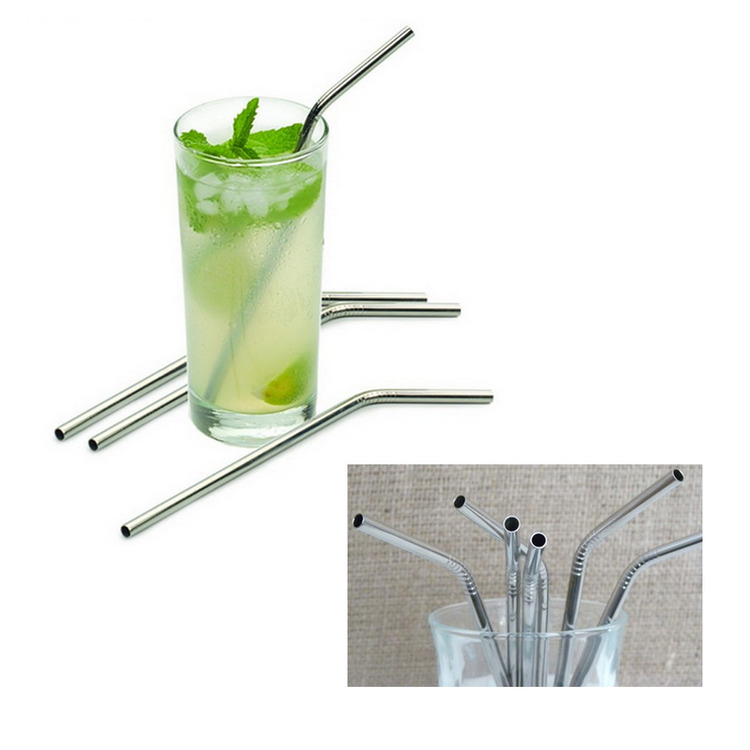 The straws are made of stainless steel. The color can be black, colorful, gold or rose gold. 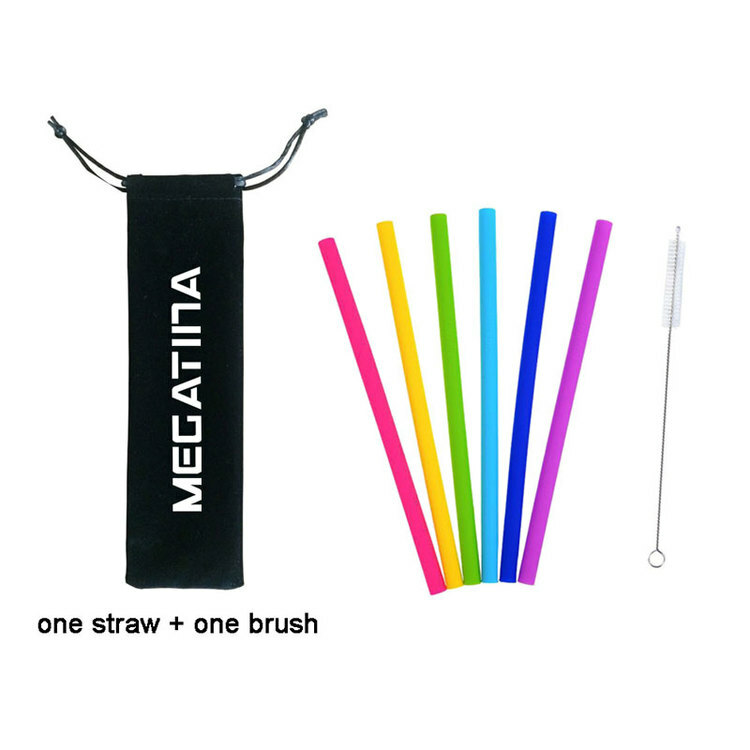 One set includes a straight & curving straw and a cleaning brush into a cloth bag. Suitable for restruant, bar and so on. 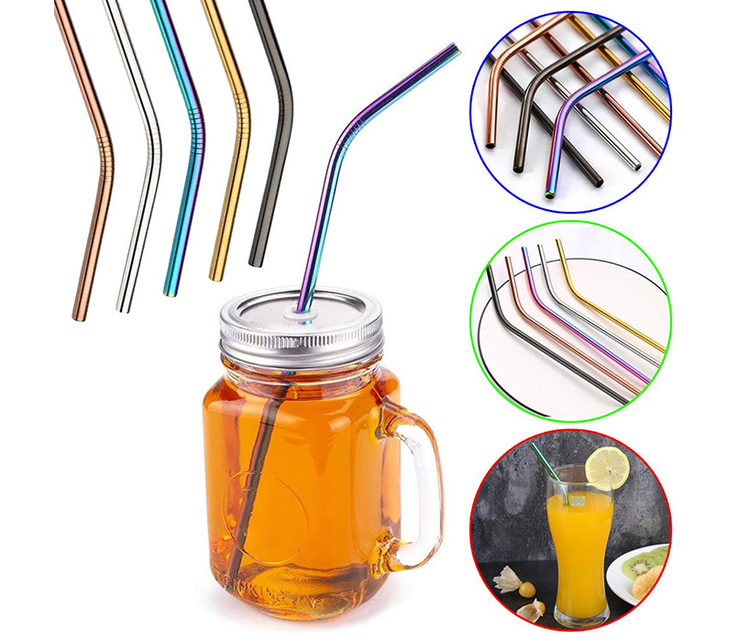 The sliver straight and bent stainless steel drinking Straws made of eco-friendly 304 stainless steel with silicone tip, The straw comes with a silicone cap to prevent scratches when used. It's dishwasher safe. 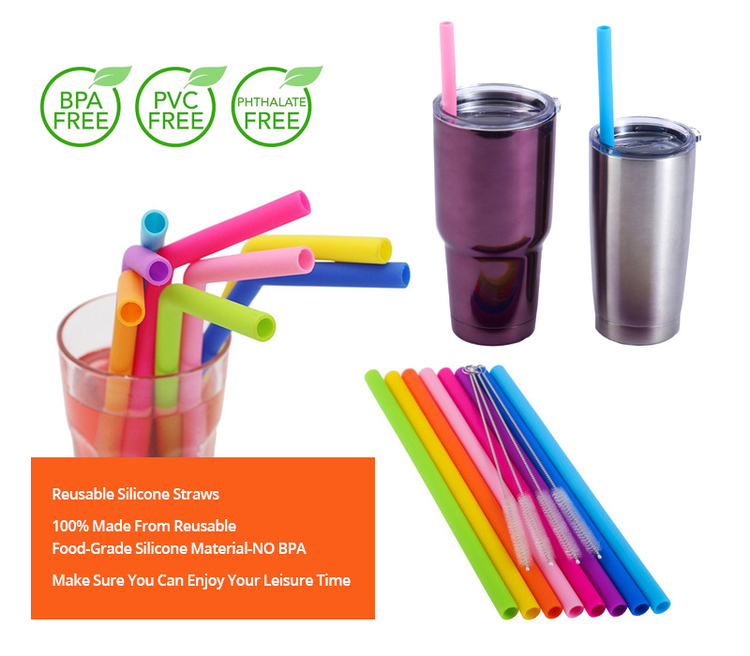 Reusable, environmental friendly, plastic free, unbreakable, rust-proof, scratch-proof and break-proof silicone straws. 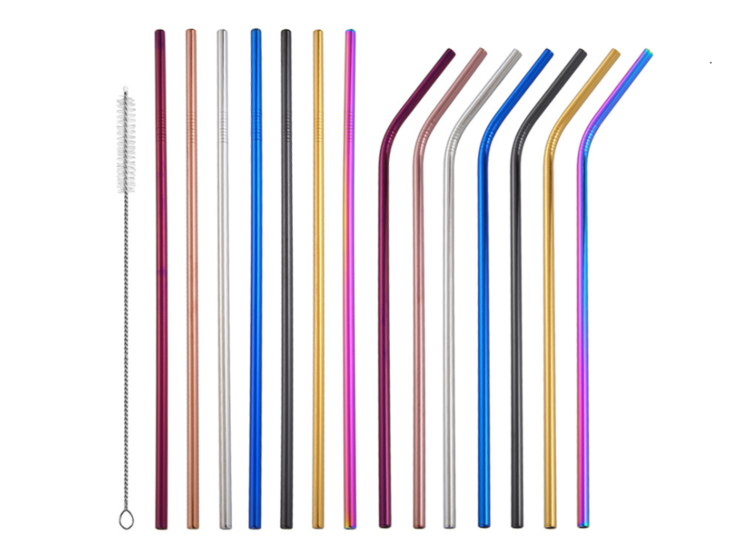 All you need is dish soap, water, and the cleaning brushes provided to clean the straws. Your logo is welcomed. 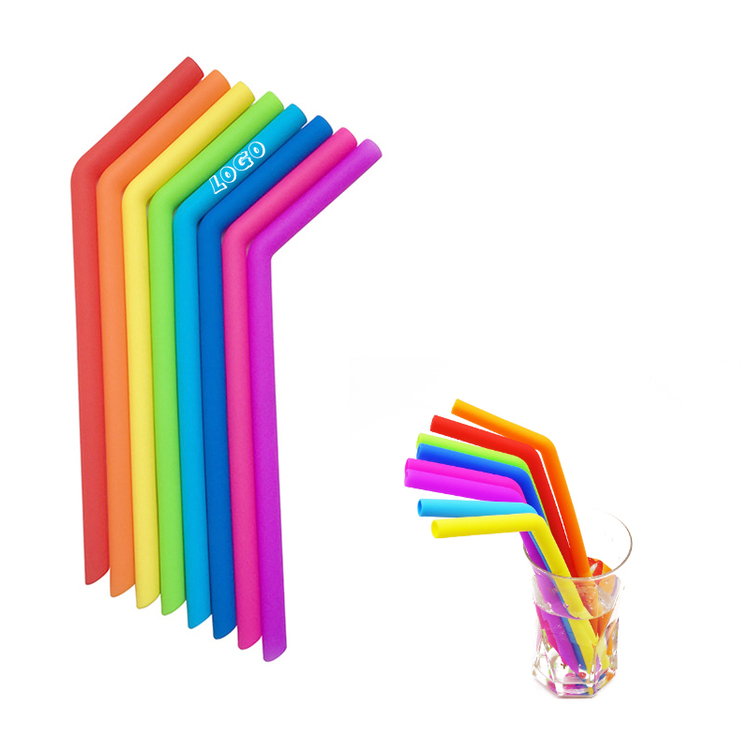 All straws are made of food safe stainless steel. 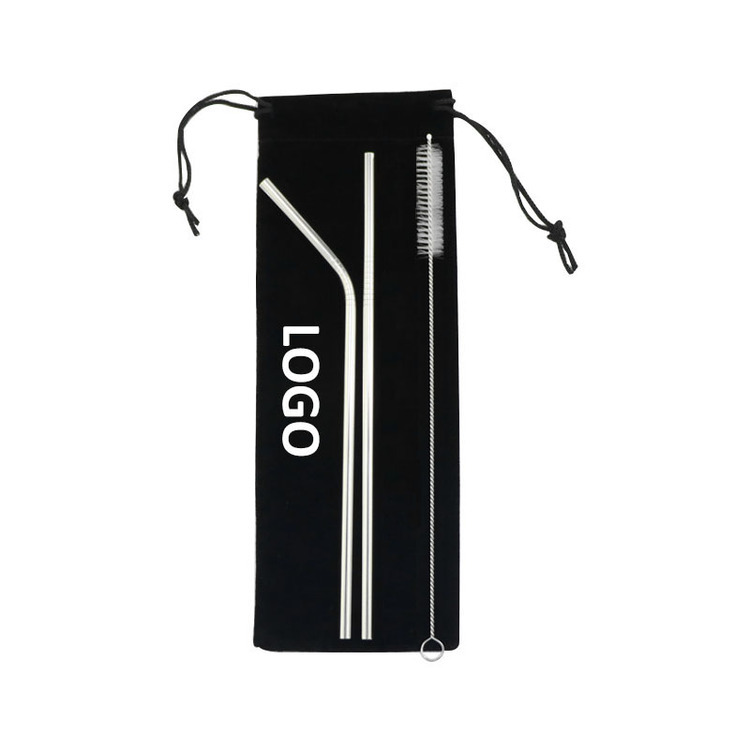 One set includes a straight and curving straw that is 0.24" diameter, a cleaning brush into a cloth bag. Good gift for mason jar, tumbler, sport bottles or cups. Free shipping. 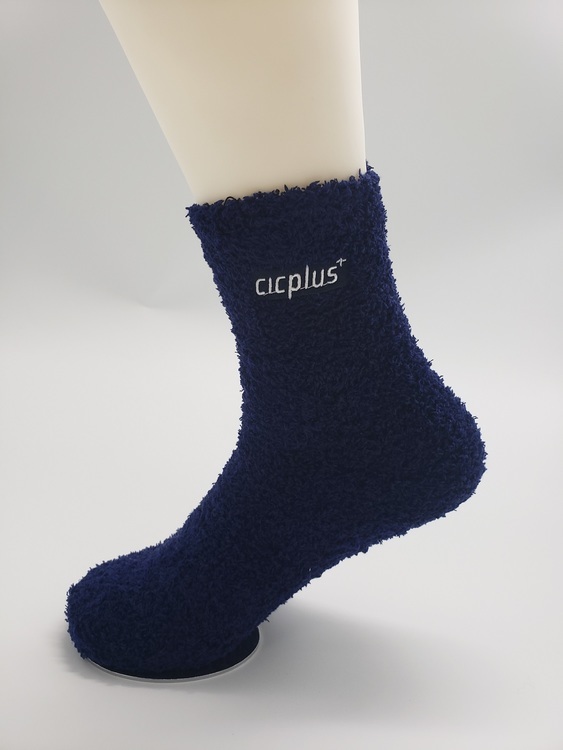 Our fuzzy socks come different color base and with an embroidered logo on the outside of each sock. Up to 4-color embroidered customization. Size of embroidered logo will be customized based on your artwork. There is also an option to add grip slip resistant finish on the bottom and change the imprint method to Embroidered Applique. 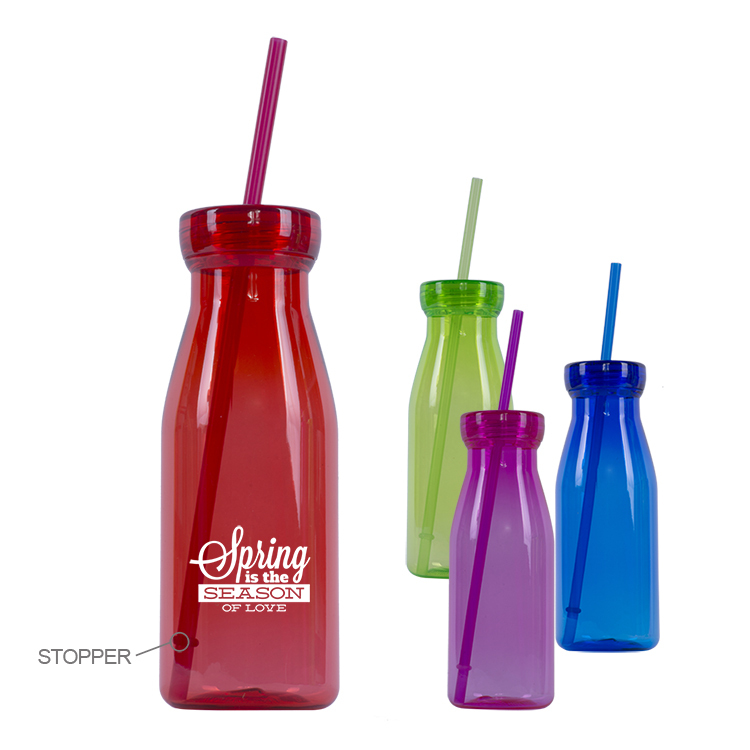 This great milk bottle style colored bottle is great to enjoy your favorite beverage. 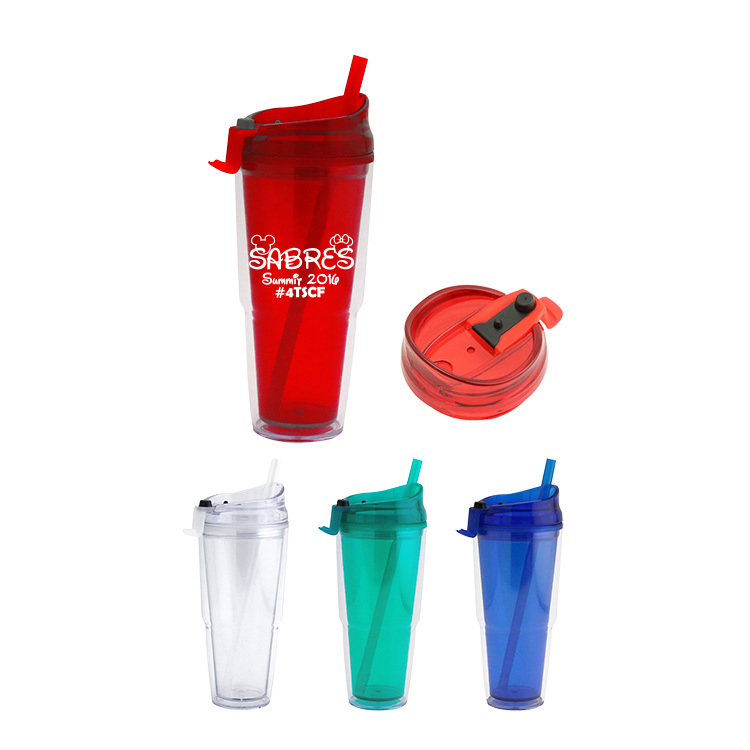 Matching colored straw and screw top lid. 24 oz. 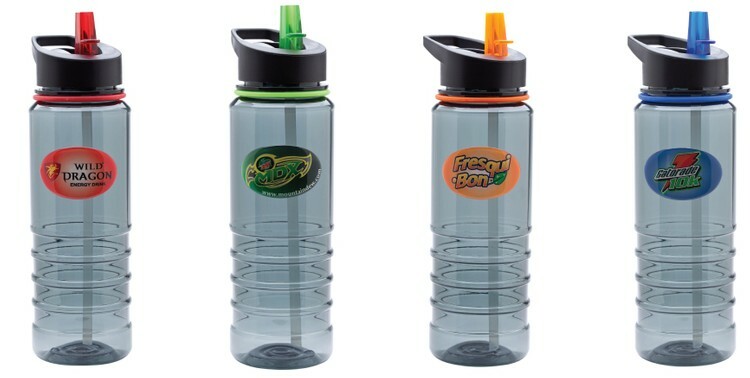 Ribbed Tritan Water Bottle with Straw Featuring DomeOn Technology Full Color Epoxy Dome Decal Imprint Durable Tritan Material BPA Free / FDA Approved Impact and Shatter Resistant Does Not Retain Ordor or Taste Color Silicone Ring and Matching Straw Screw on Lid Spill Resistant Flip Up Straw Easy Carry Handle Ability To Contain Hot Liquids or Freezing Liquids Poly Bag Imprint Area: 2 1/2" x 1 1/2" Colors: Smoke with Blue, Smoke with Green, Smoke with Orange, Smoke with Pink, Smoke with Red Production Time: 10-12 Working Days After Approval of Paper Proof Rush Charge: $0.20 (v) Minimum Charge of $45.00 (v) FOB: NY 11516 9 lbs / 25 pcs 18 1/8" x 13 3/4" x 10 3/4"
Made of food grade and durable silicone rubber, safe and eco-friendly. Soft and easy to carry, can be folded for travel, stored in trouser pockets, wallets, bags. 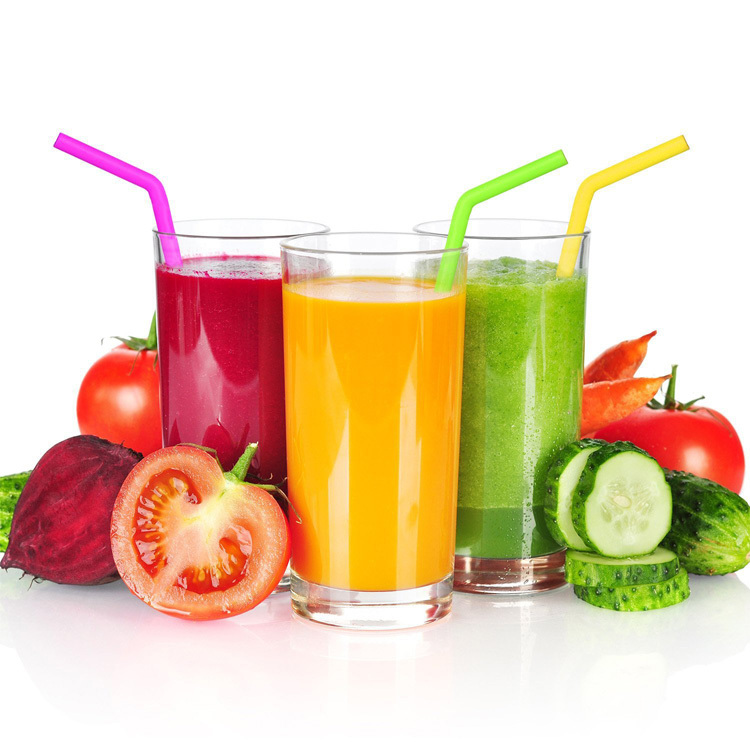 Your logo can be printed for promotional and advertising purpose. 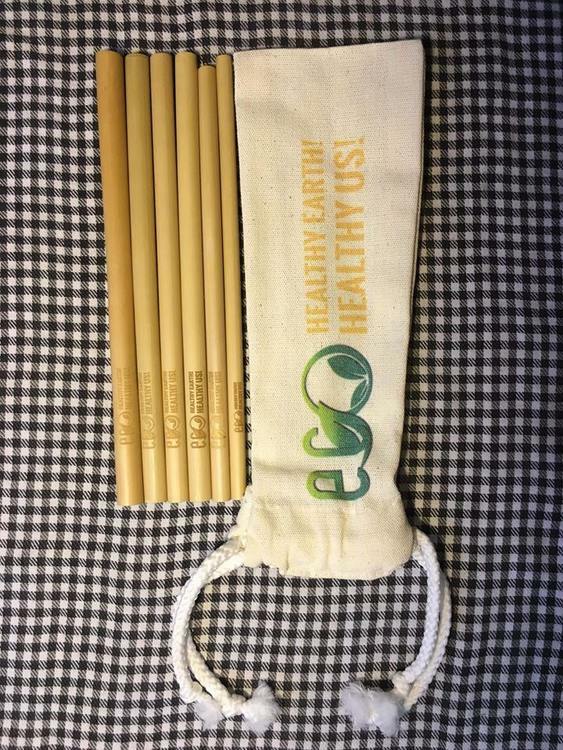 All straws are made of food safe 304 stainless steel and the product is a straw and a brush. The product is available in many colors. The prices for different colors are different. 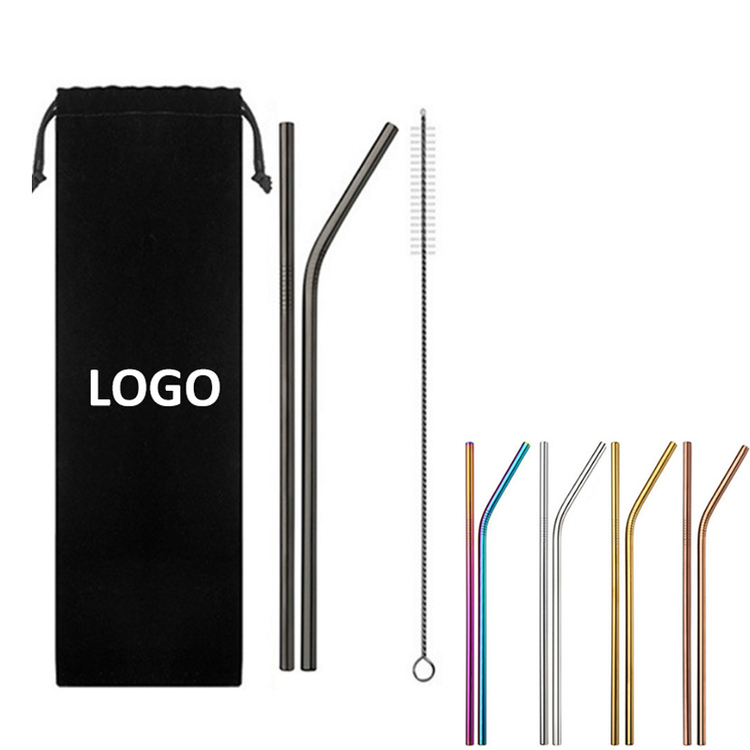 The price is based on a stainless steel silver straw 8 1/2" L and a brush 7 7/8" L?opp bag.Reusable and environmentally friendly. 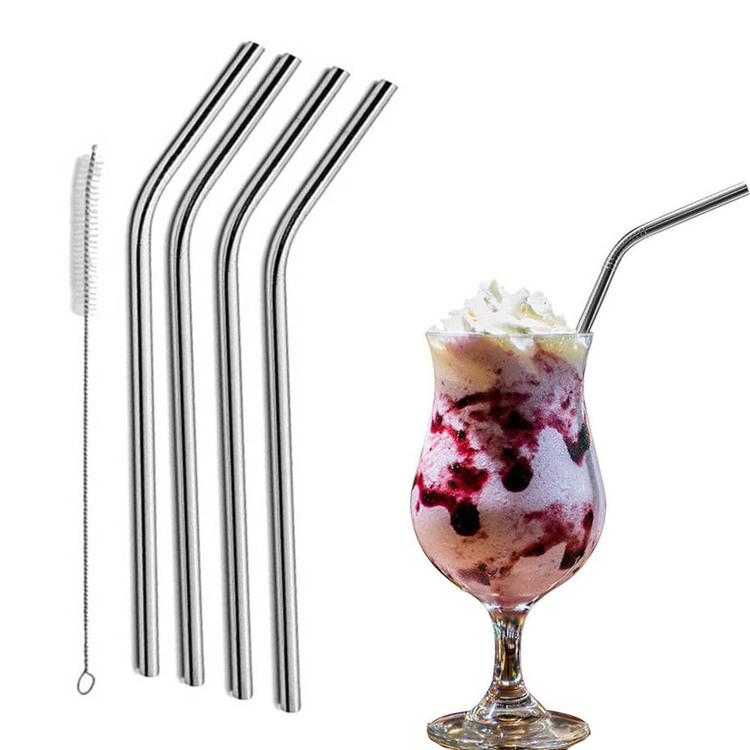 Straw and brush are made of stainless steel. 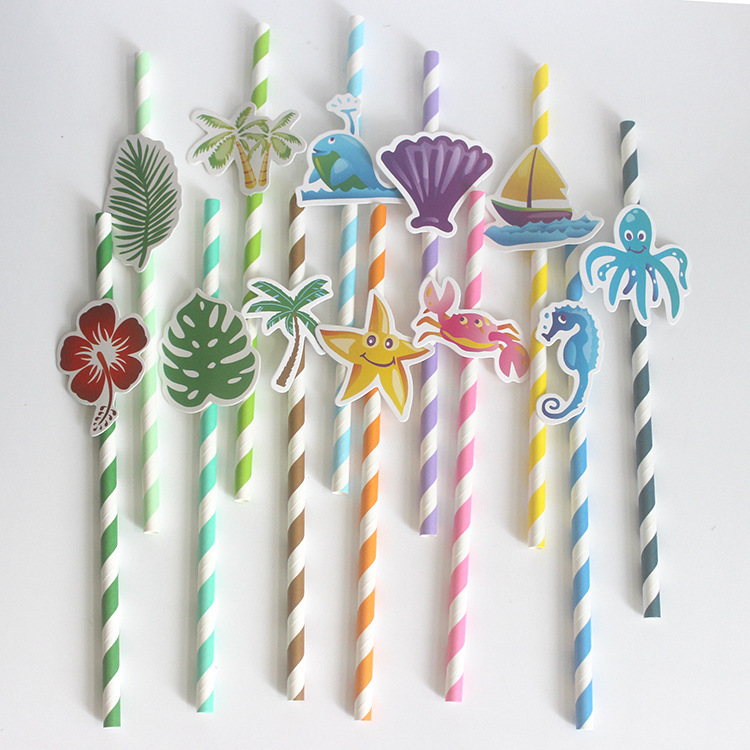 Eco-friendly design, use the same straw for a long time instead of wasting so many plastic straws. Ideal for everyday use and entertainment, it can be used anywhere. Welcome your logo! 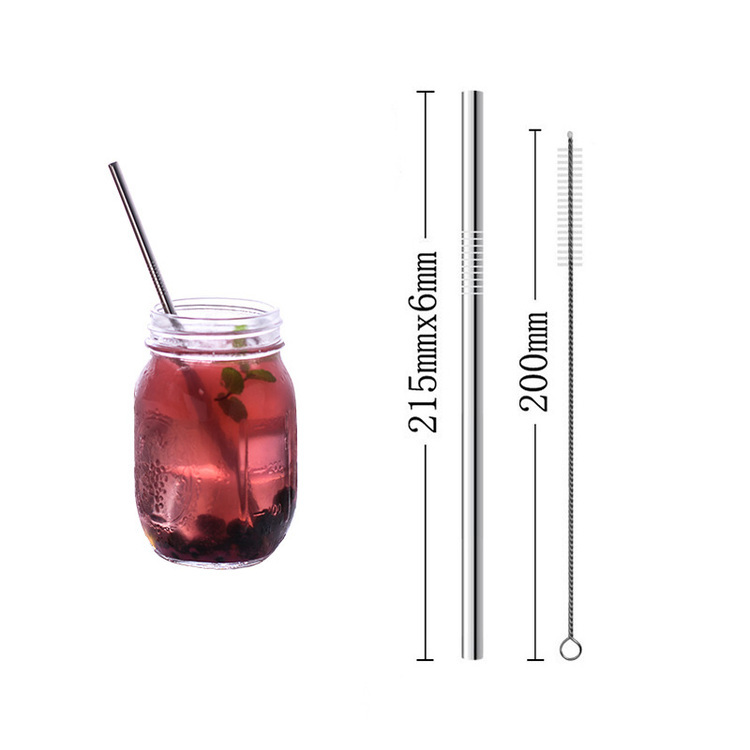 This straw is made of eco-friendly 304 stainless steel. 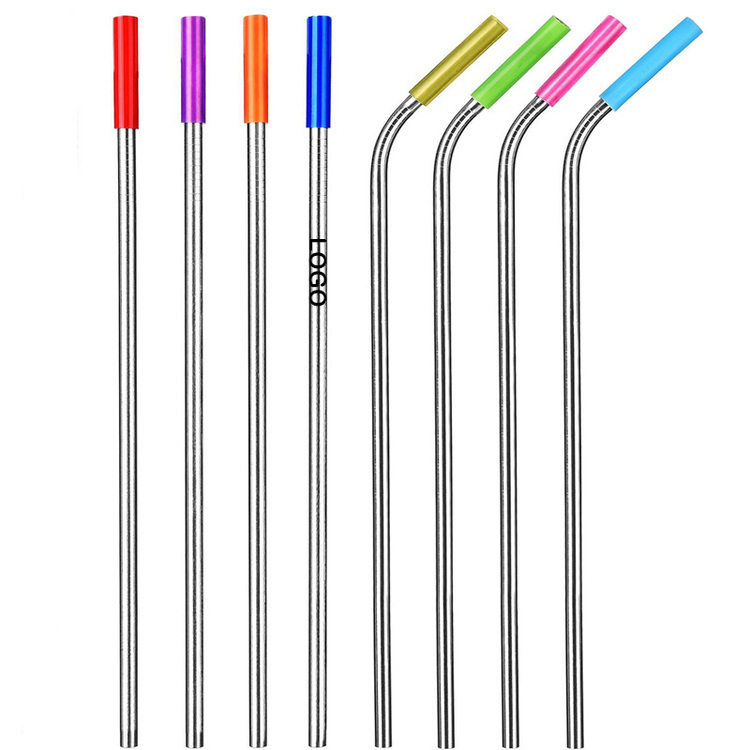 For straight and bent straws, the price keep same for same length. Complies with FDA. 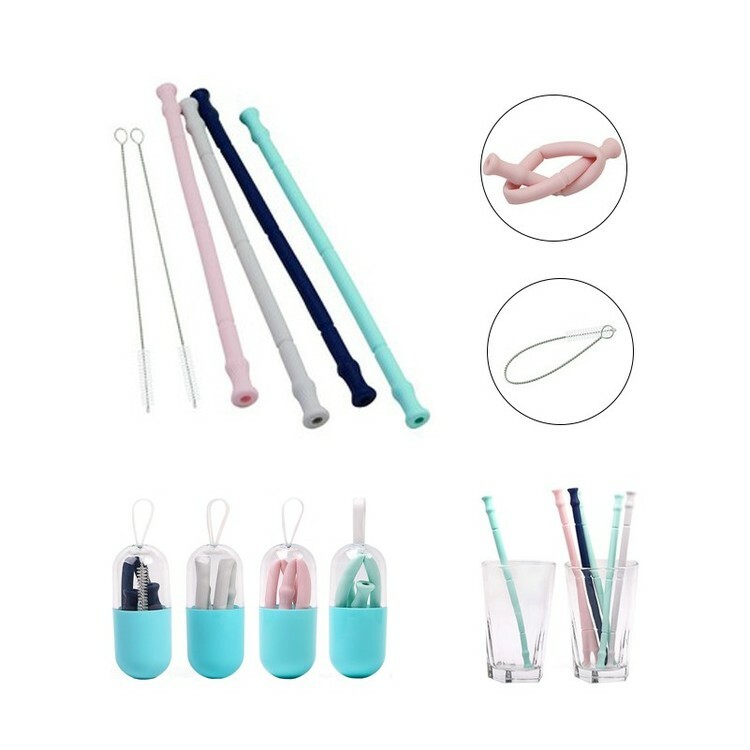 Creative Double Plastic Straw for couples! 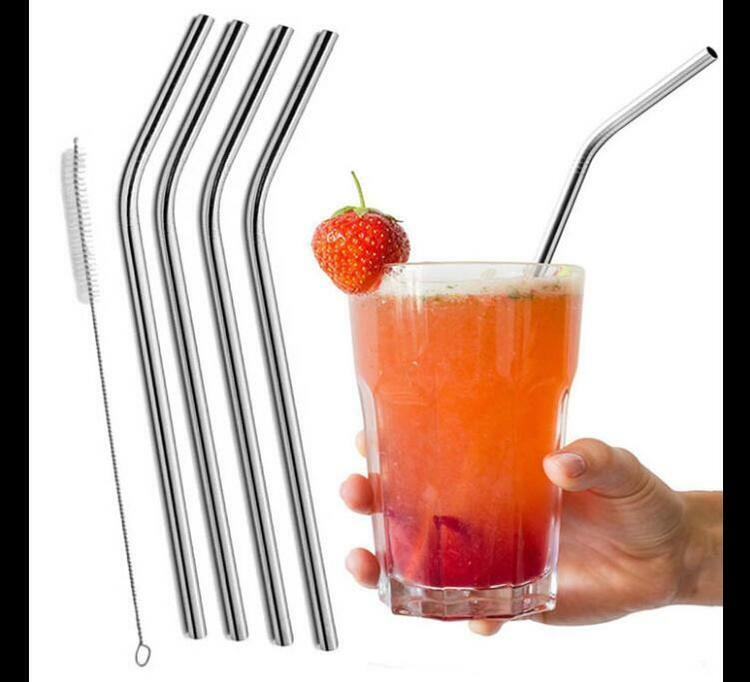 With a heart-shaped design in the middle, this straw is perfect for couples. 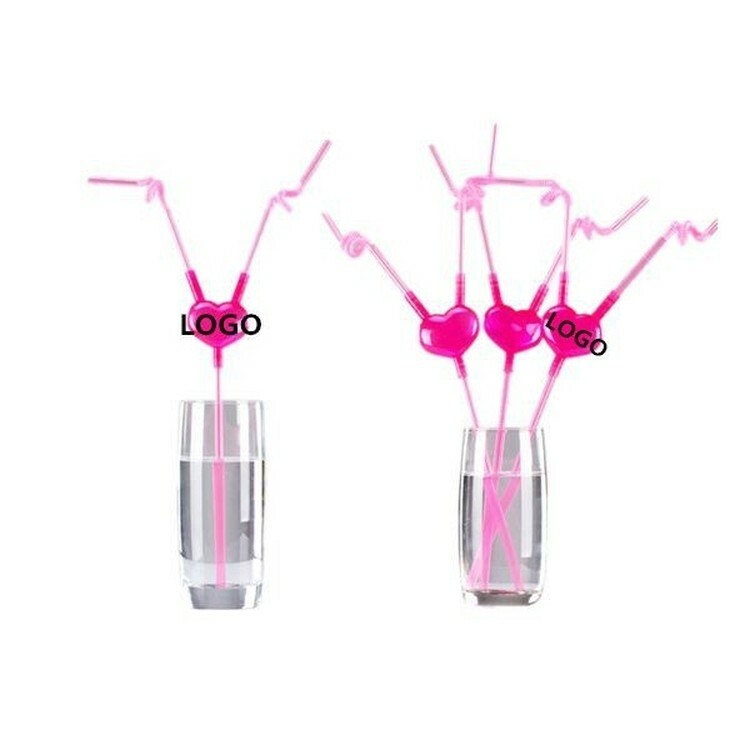 You can also get your logo on the straw so that people could see it when they enjoy their beverage. Choose High Quality Stainless Steel, Using High-tech Workmanship, Health And Environmental Protection, Durable. The Application Of Modern Production Technology Of Production, Thermal Insulating And Heat Transfer. Unique Style, Beautiful And Elegant, Style Dignified. 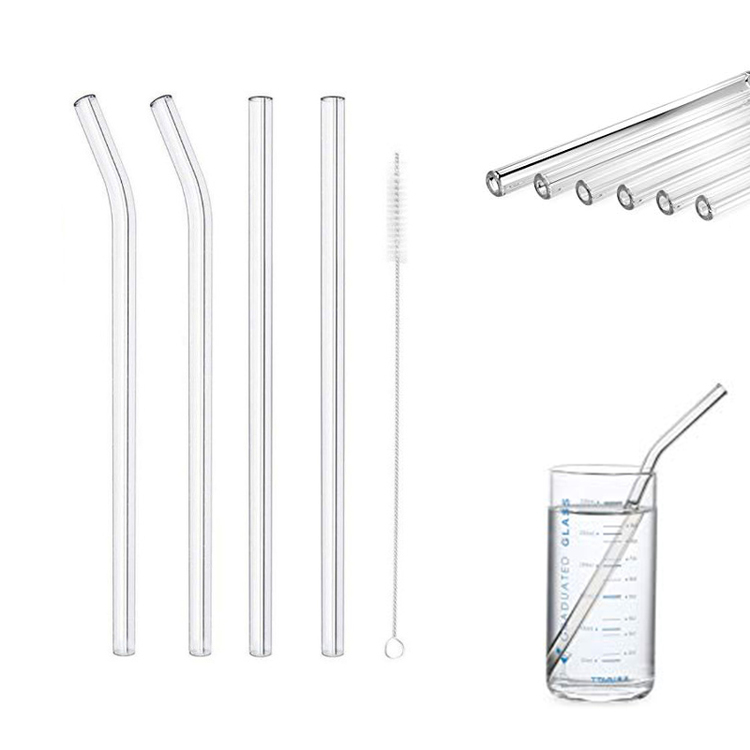 High-grade And Durable, Doesn't Burn, Do Not Fade, Easy To Clean, Resistant To High Temperature Sterilization. Suitable For Family, Canteens, Restaurants etc. 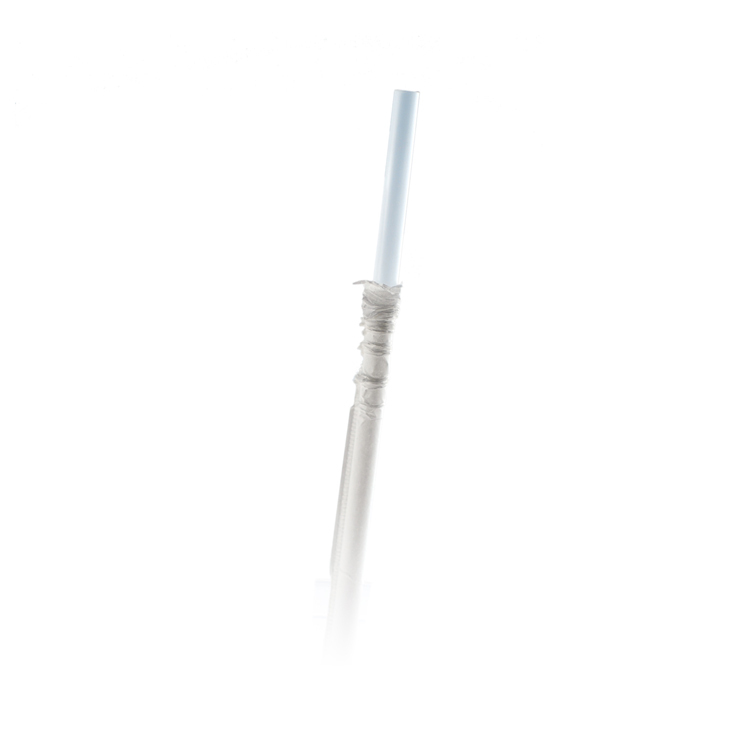 With Cleaner Brush, Give You The Best Convenient. 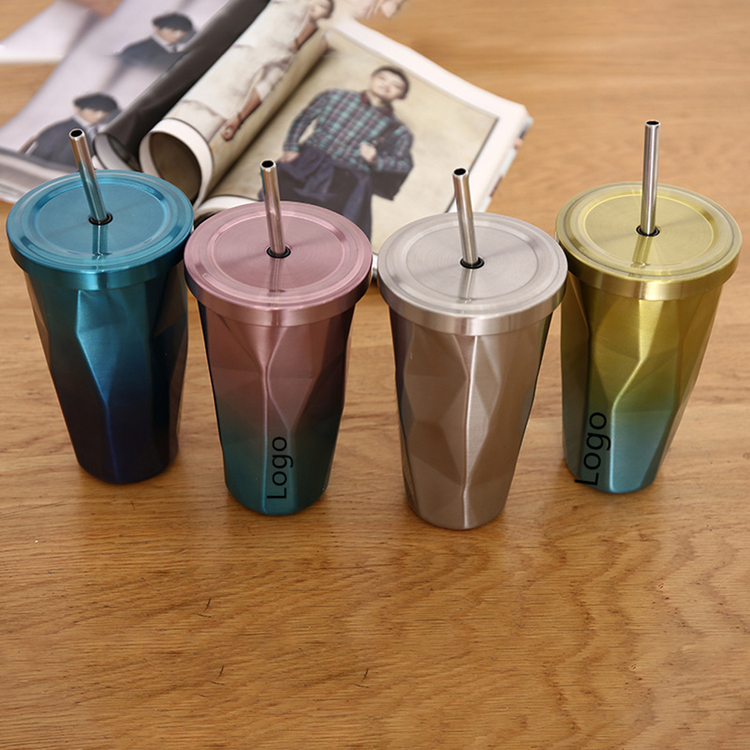 The stainless cup has a fashionable apperarance and unique shape. It is a good company in hot weathers. The 304 stainless material makes it is very durable. Customized logo is available. Price includes one side one location with one color silkscreen imprint. 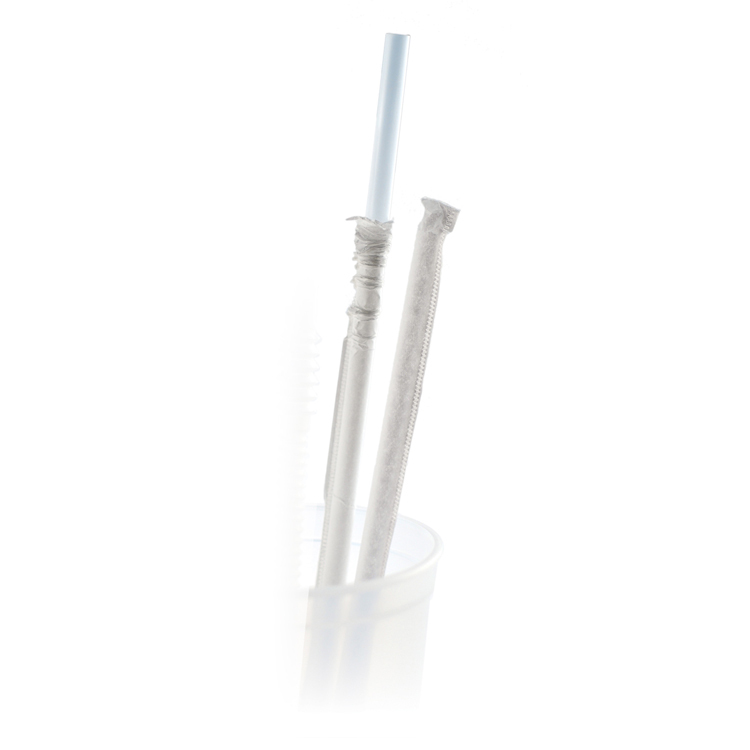 The silicone straw is made of presium food-grade silicone with FDA certificated and BPA free. Features collapsible, recyclable, odorless, high-temperature and low-temperature resistant, bite resistant, safe and environmental. Not easy to be breed bacteria and can be washed in dishwasher. 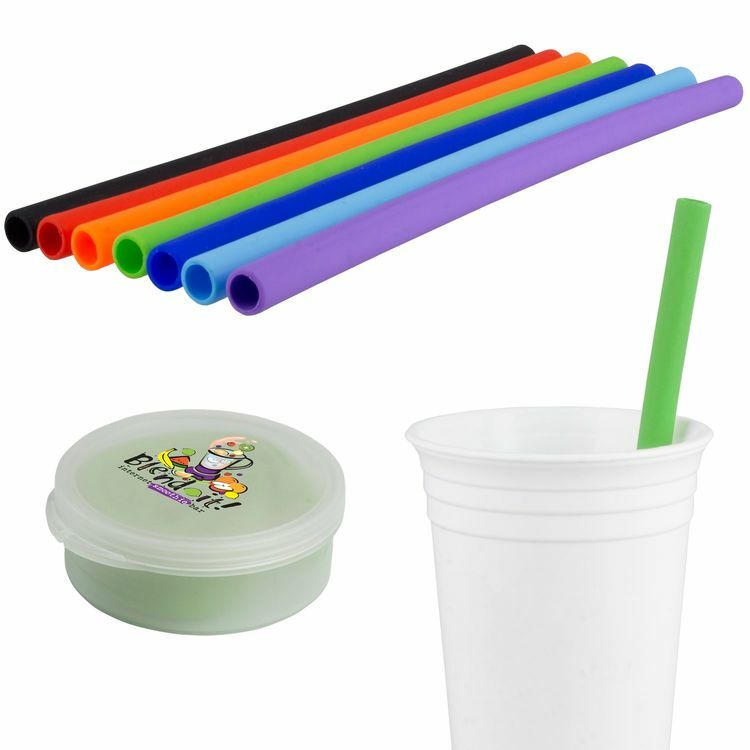 A silicone straw and a straw brush are inclued in the portable case with PC in material. 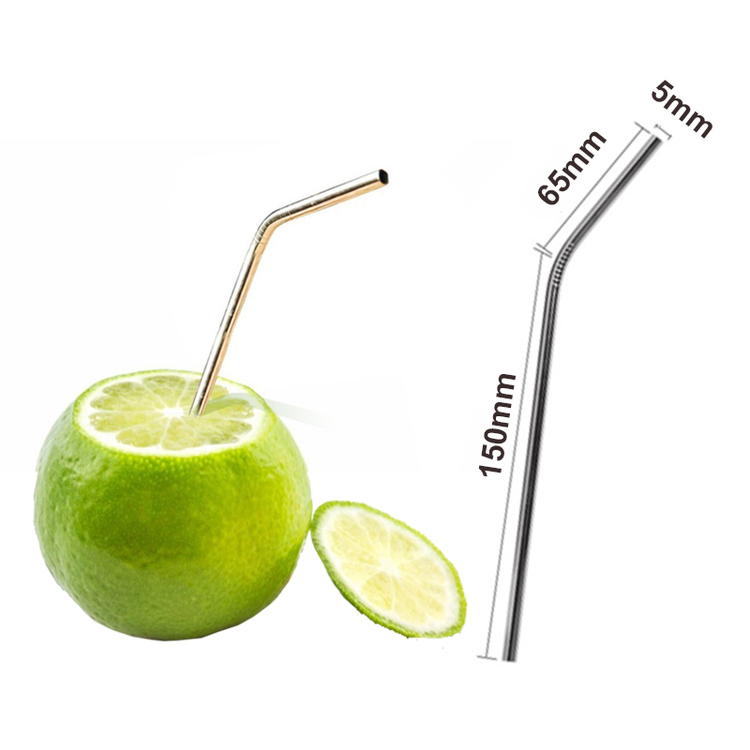 The size of straw is 7/16"DIAM x 7 7/8"H and the size of straw brush is 6 7/8"H. Customized imprint is available. 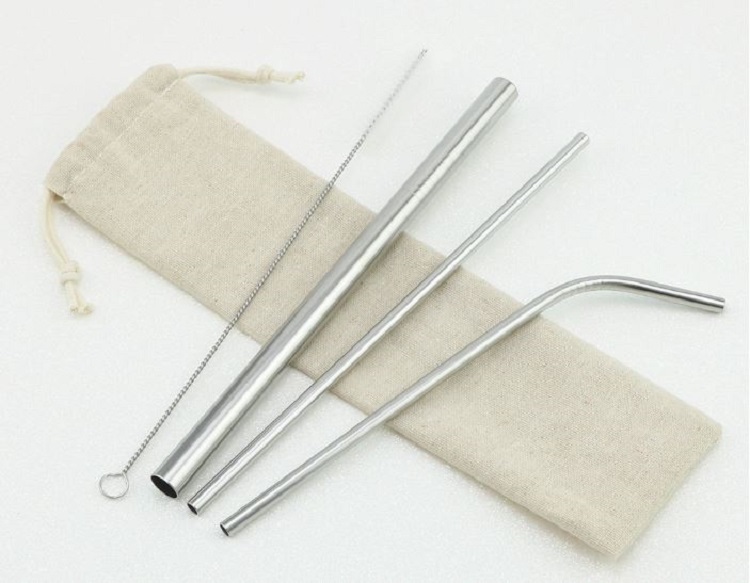 Stainless steel drinking bend straws for car cups with brush, for 20oz cup. 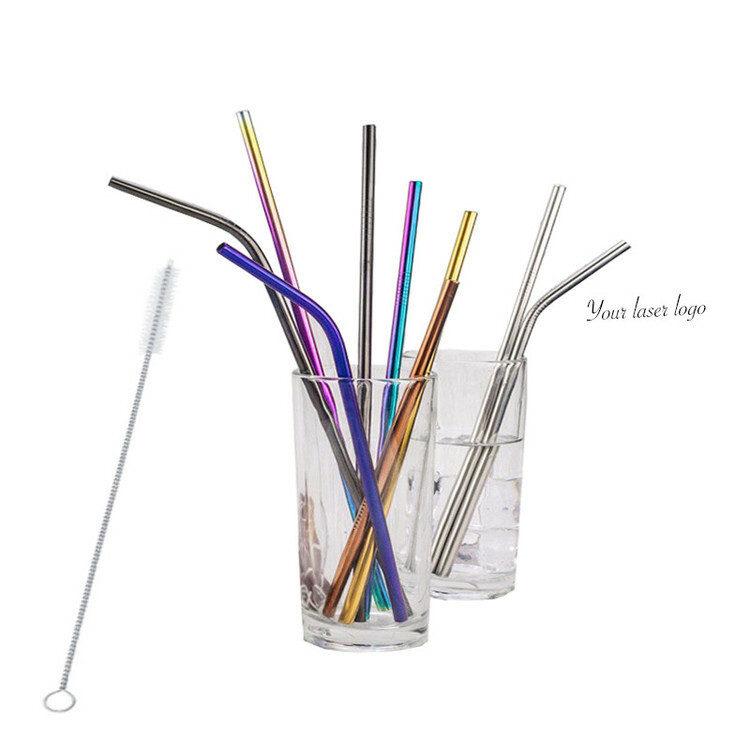 Environmental protection design, use the same straws for a long time, rather than wasting so many plastic straws. Perfect for everyday use and for entertaining, can use it in everywhere. 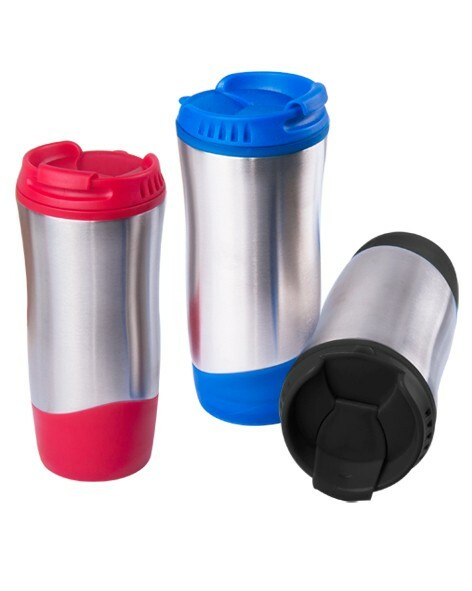 Wave Stainless Steel Sports Bottle Stainless Steel Tumbler Plastic Liner Spill Proof - Screw On Lid Flip Top Opening on Cap Matching Bottom Wave and Lid 16 oz Size Not Microwave or Dishwasher Safe. Hand Wash Only Inserted Free Into a Polybag and Giftbox Size: 7 7/8"H x 3 1/4"D Colors: Blue, Red, Black Includes: One Color, One Location Imprint Imprint Area: 1 1/2" H x 2 1/2" W Setup Charge: $45.00 (v) per Color / Per Location Run Charge: $0.65 (v) Each Additional Imprint Color or Location PMS Color Match: $45.00 (v) per Match 5-7 Working Days After Approval of Paper Proof Rush Available FOB: CA 91706 24 lbs. per 36 pcs. 21" x 21" x 9"